The violinist is the first in a serie of sculptures that made ​​Gargallo in lead from 1920 to 1923. Today it presents a worrying state of conservation that makes necessary to initiate a scientific study to know better how it was made and which is the state of the lead inside. 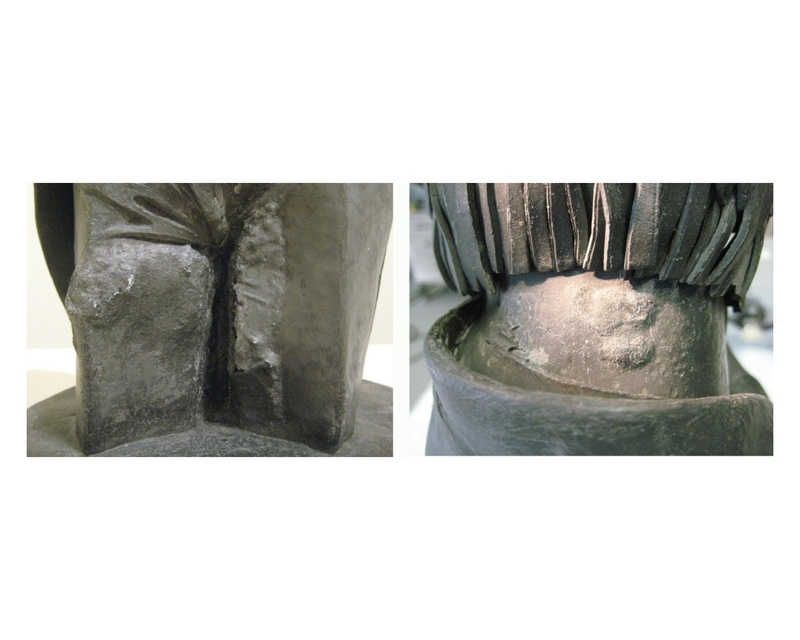 In due course the surface of the sculpture became deformed, the lead lifting up in blisters due to the incompatibility of the two materials. Currently there are some other areas where the piece has already started the same process. In the image, the raking light reveals the modified areas of lead sheets in the legs and the neck. Gargallo created The violinist by soldering and nailing sheets of lead onto a wood core. 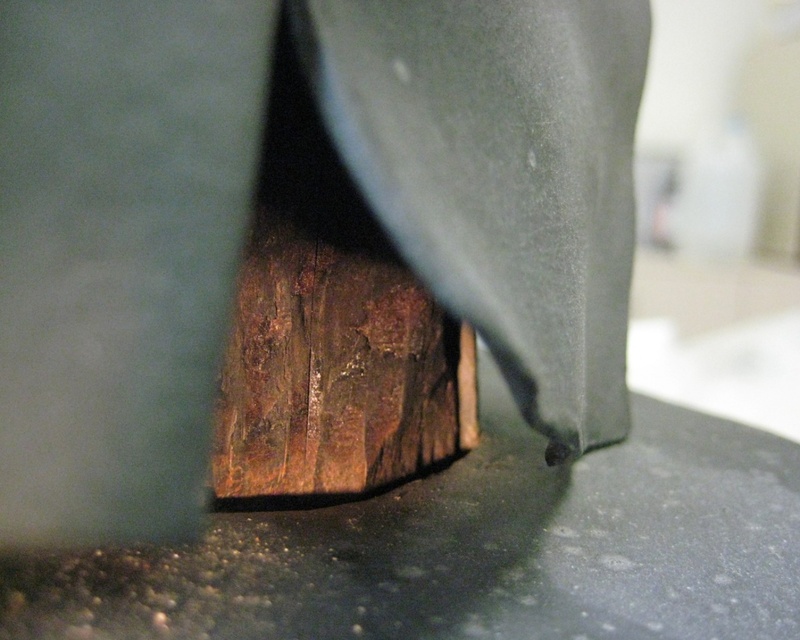 The analysis of the white compound that had formed inside some of the sheets of lead confirmed corrosion by carbonatation, a process initiated by the volatile organic compounds emitted by the wood that has worsened over the years. 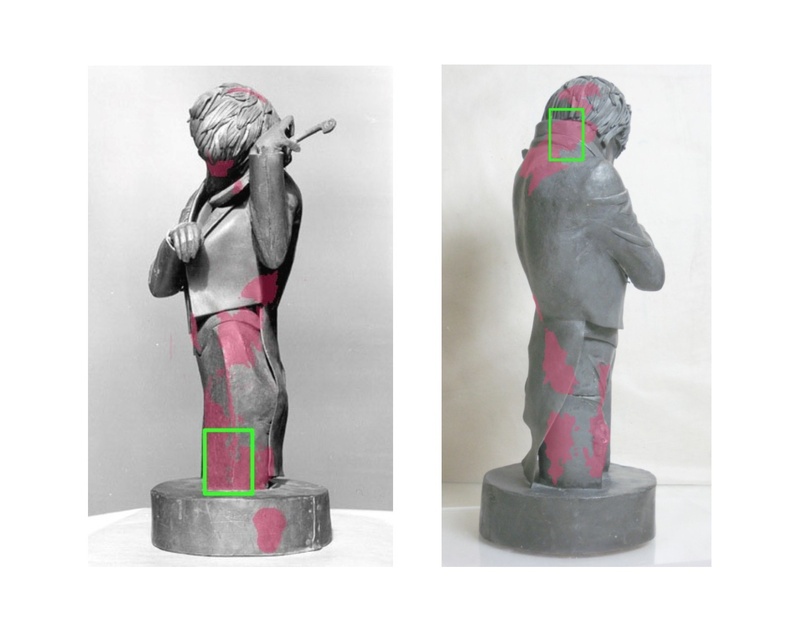 For studying the interior of The violinist it was appealed in neutron radiography, a non-destructive technique capable of penetrating lead. 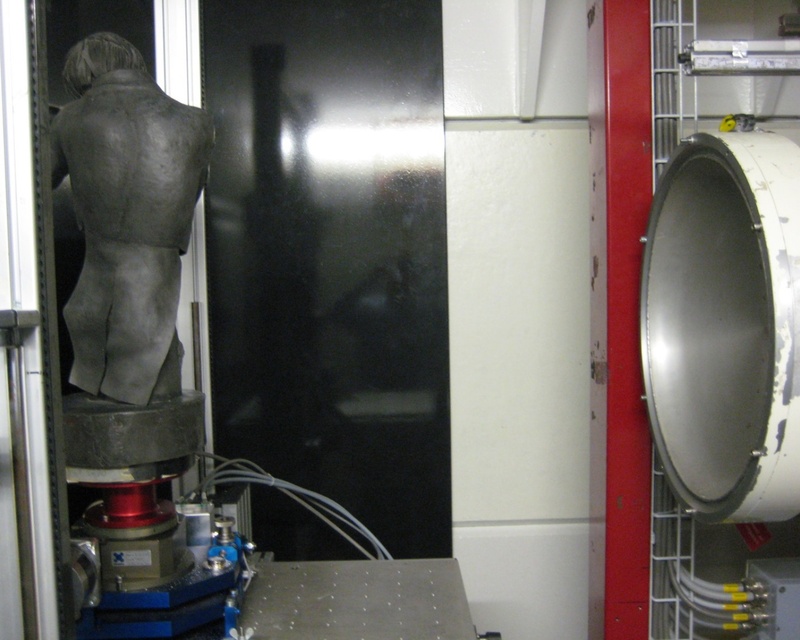 The sculpture in front of the neutron tube prior to the radiographc sequence at the Paul Scherrer Institut's NEURA facility in Switzerland. This project of research was financed by the European Commission by the Seventh Framework Programme, through the Action Plan "Research Infrastructures" of the "Capacities" programme, contract number CPS-CSA_INFRA-2008-1.1.1 Number 226507-NMI3. 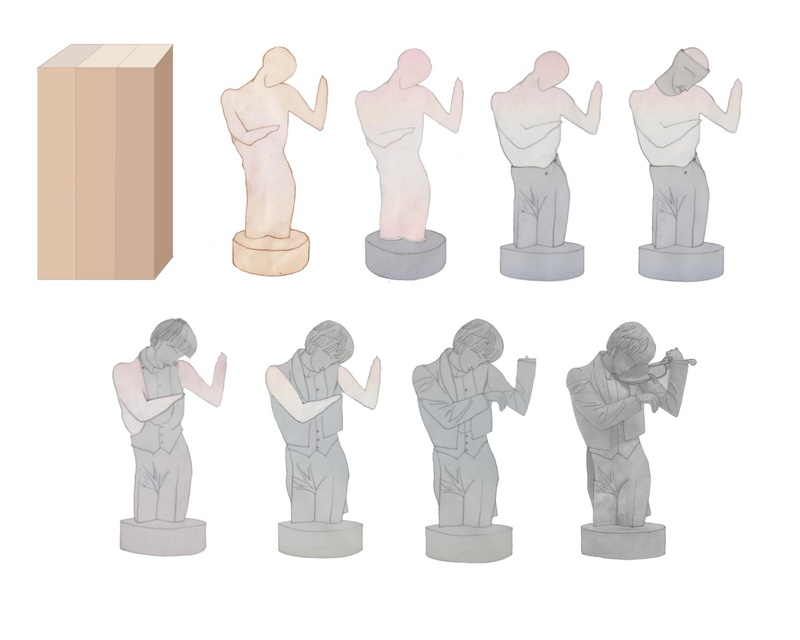 The tomograghy scans show horizontal cross sections of the sculpture. We can see wooden inner core, the overlapping sheets of lead and the lead carbonate layer formed on the inside of the plate. Thanks to the tomographies it was posible to find the nails that fix the sheets of lead to the wood. This nails are hidden by the superposition of layers of lead. 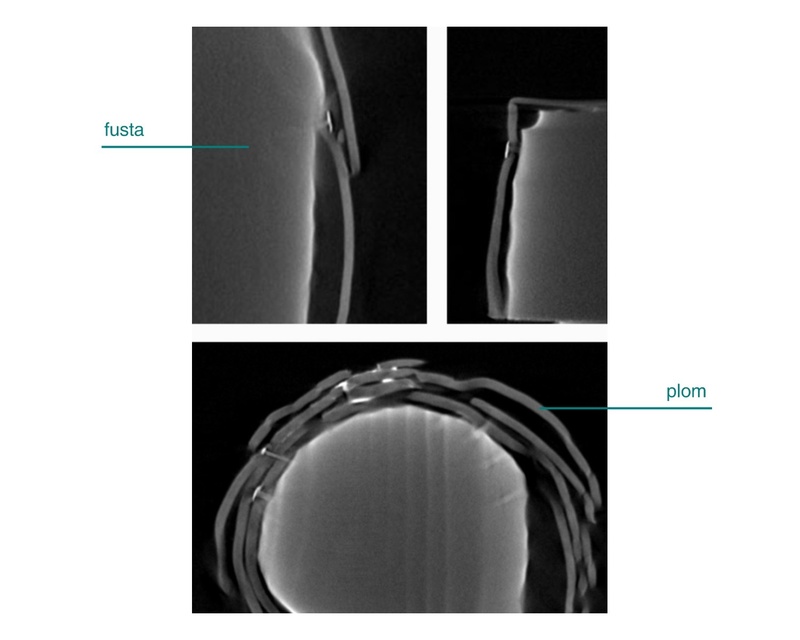 You can see some fixation nails in the waist, the base and the head, where it can be count up to 22 nails. 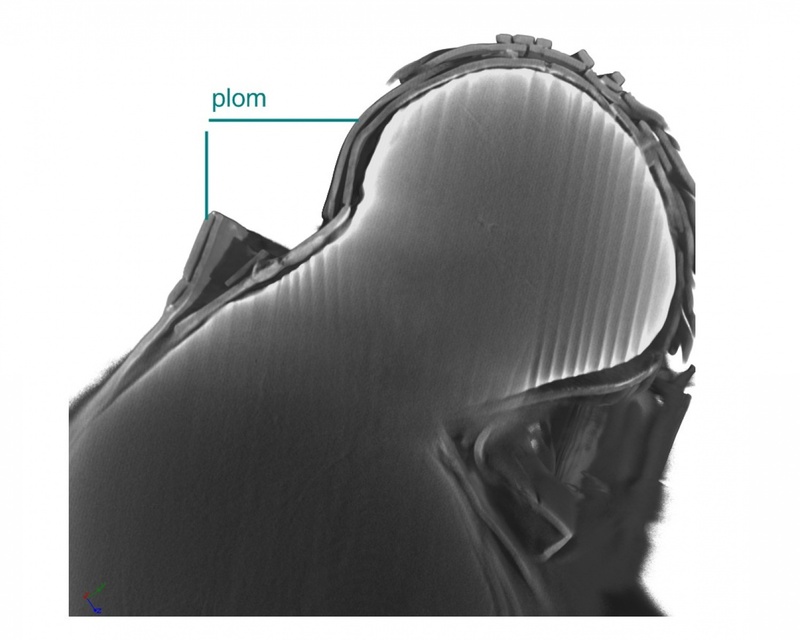 In the restitution in 3D of the head section we can see the superposition of lead sheets and its adaptation to the wooden core volum. 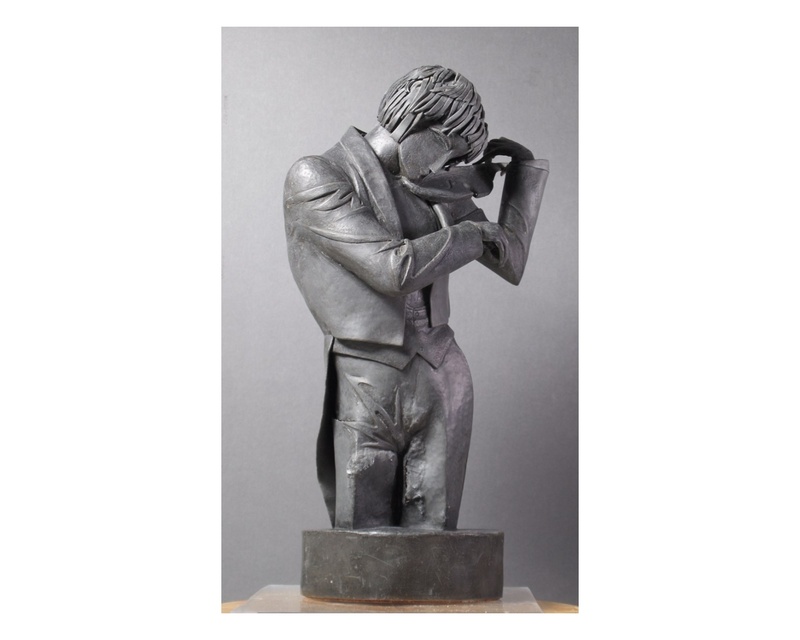 Gargallo conceived The violinist as a wooden figure dressed in a jacket of lead. Gargallo prepares a wooden block with three planks glued. He carved the form in wooden block. He started with the cylindrical base and the trousers. Then he added the face. He finished by attaching the hair, the hands and the violin, wich he soldered on. The variation map of the effect of the carbonatation was yield thanks to the digital processing of the tomographies. The precise location, in colour, of the inner faces of the lead sheets affected by carbonatation. The quality of the tomographies allowed us to visualize as a virtual 3D restitution the lead carbonate crust formed inside the sheet of lead. 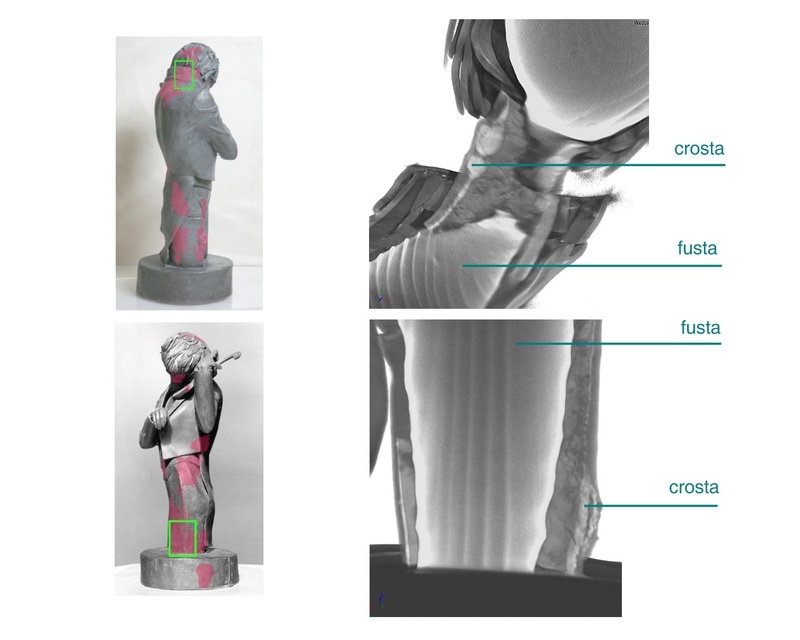 In the images we can see the thickness and texture of the carbonate crust inside the lead in the neck and the left leg.